Our business is centred around providing design and installation services of a variety of bespoke renewable energy solutions for a range of private and public sector clients. We pride ourselves on ensuring that we provide a great service from start to finish…and beyond. Have a look at some of our feedback to hear what our customers say. With over a decade of experience, and our own in-house installation teams, you know you will get a quality installation delivered on time with minimal fuss, and for a great price. There are not many challenges we have not been able to overcome using our expertise, and we will be able to work with you to achieve your goals. Years of being at the forefront of the industry means we have all the latest technologies at our fingertips and ready to install. With our top notch technical support after your installation is complete, you can be assured that we will keep your system working, answering queries and attending to any problems promptly and professionally. Below is a summary of the main areas of our operation, and what we can do for you. PV systems are the most flexible installation which we provide, and are currently very popular due to the simple installation and the superb return on investment since the introduction of the Feed in Tariff (FiT). Many of us do not have the luxury of large amounts of land in the countryside to be able to install a wind turbine, and others need a reliable source of power for an off-grid system. Solar PV can almost always be installed to your property or your business premises, whether it be mounted on a pitched roof, flat roof or on the ground. Our expert team will be able to find a system which fits your energy requirement, location and budget. Solar PV systems no longer require planning permission1, meaning you can usually be scheduled in for installation very in only a few weeks. Due to our having several years of experience in the industry, we are extremely well placed to offer you the best solution possible for your circumstances, or to maximise your FiT earning potential. Don’t just take our word for it, here’s some of our feedback. We have a great relationship with all of our suppliers, so we are able to offer you top quality equipment at great prices. We are also a main distributor for Coolpower’s EMMA, which will ensure that you really get the most out of your PV generator. Throughout your installation, and long after we are finished, we aim to provide the best possible service, answering any questions you may have about your system or how to get the most out of it. On a grid connected system we will also take care of all necessary paperwork relating to the commissioning and connection to your local network’s system, and provide assistance with getting you signed up to the FiT scheme with your supplier. If you are interested in a solar PV system, or of any of our design and installations services, please get in touch with our head office. We can let you know any more information you require over the phone and after taking some details we will arrange to come to see your property, discuss your system further and provide advice and assistance with getting your system up and running. 1 as long as you are not in a conservation area or have a listed building. 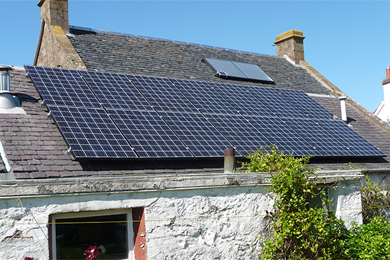 If you have a Solar PV system which is not working quite right, or if you think there are more pressing issues, we also offer our expertise with our Repair and Improve or Solar PV Upgrade services. 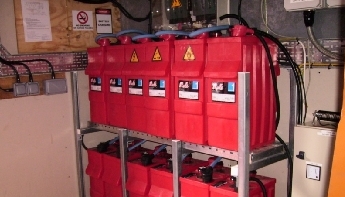 See our case studies for some examples of our off grid installations. 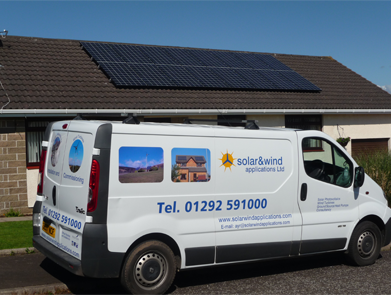 At Solar and Wind we do not see the end of the installations as a parting of ways between us and our customers. 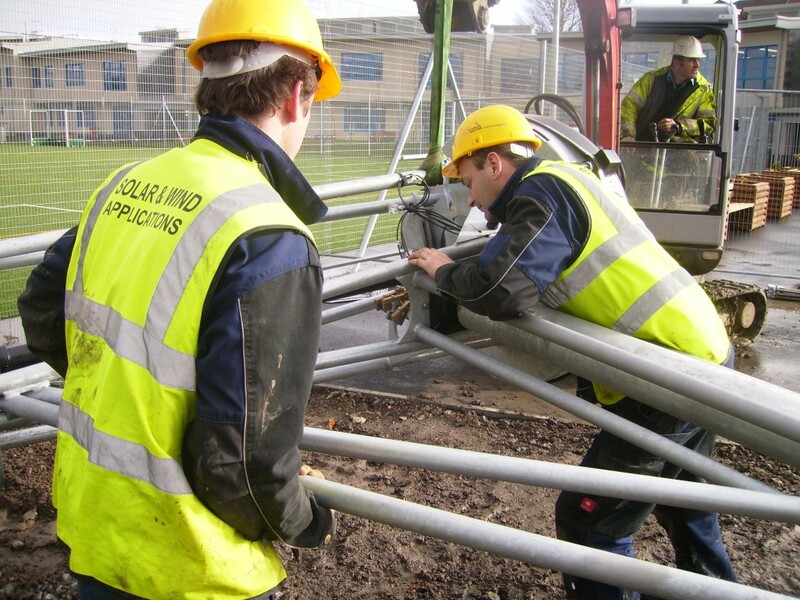 We always strive to create a friendly working relationship with you, where we are able to provide an efficient, cost effective maintenance schedule (as required) to suit both your installation type and any specific needs you may have. Using our experience we are also able to provide servicing, maintenance or repair to customers with installations by others. Unfortunately the original installers are not in a position to provide ongoing service, and this is where we can help keep your system in good condition and working as it should. Our vastly knowledgeable staff can be contacted easily and will ensure that advice or a solution is reached promptly – often a plain english technical walkthrough over the phone or by email from our staff can solve a query. Many of our customers come back to us after their installation for us to install another technology for them. We see this as a very positive reaction to the service we provide. Solar and Wind Applications believes that the best way to promote and encourage the future of renewable energy is through education. As well as completing several installations of wind turbines and solar PV systems at schools, we also produce the S-Cube solar science set. This teaching tool provides a platform for teaching about energy and energy transfer, from generation to use. Teaching can be tailored to a wide range of students from primary to secondary level. 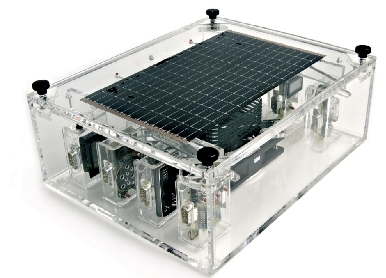 The kit contains several modules, which can all be plugged together in order to create several uses/generations/storages of the generated power, provided by a solar PV panel, or the integrated wind turbine. There are also worksheets and tutorials included, as well as a multimedia CD of further material. Contact us for more information on this product – we can also offer a training (for staff/teachers) or teaching (to your students) session if required. The S-Cube is usually offered as part of our installations in Schools or in Community Projects, as we believe education is as important as installing the “real thing”.